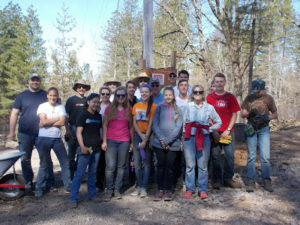 Inspiring Hope – Join me as I feature incredible people who are making a difference for families affected by the wildfires in Lake County, California. I have the privilege of meeting homeowners, volunteers and business people who are making Lake County a better place. 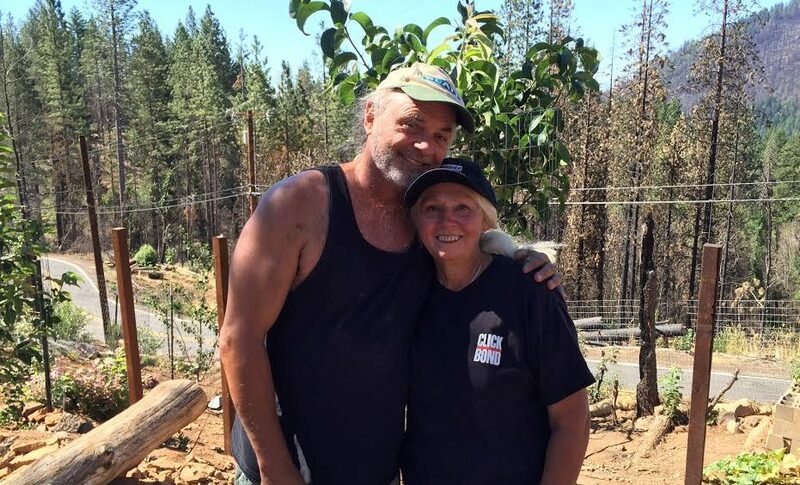 Today we meet a couple who lost everything in the devastating wildfire. Pam and Stephan Wasik had a cozy home off a winding mountain road. The thick tree cover gave them a mild, comfortable temperatures even in the summer sun. They had lived in Cobb for several years in September 2015. 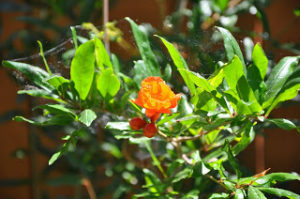 They were avid gardeners, with terraced plots on their sloping lot and a wide variety of fruit trees. On September 12, Stephan had spent the afternoon sanding their back deck. It was one of the final big projects on their renovation list. When he turned off the sander, he heard something and turned to look up the mountain. He could see a giant plume of smoke and realized he was hearing the tinder dry woods burning on their mountain. Still in his dust-covered clothing, he yelled for Pam and then headed down their one lane street. He woke up the first neighbor who had been working overnights. He pounded on the door of the next house and told them to go or they would never leave the mountain alive. He raced back to their home, they grabbed a few things and pulled down the mountain. They could see the flames cresting the top of the mountain and knew there was nothing to stop the monster fire from destroying their home. 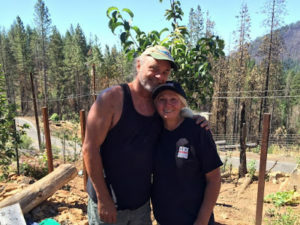 Pam and Stephan are like many of the Valley Fire survivors, they evacuated quickly, escaping with little more than the clothes on their backs, dirty work clothes in Stephan’s case. 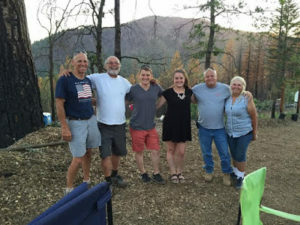 It would be weeks before they were allowed to return to their property to see in person the destruction of the wildfire. They would sift through ashes looking for small signs or mementos of their life. Recently, as I talked with Pam and Stephan and they reflected on their last year, the wildfire would not be the only loss they would face. Someone stole the sifted scraps of their lives from their property. 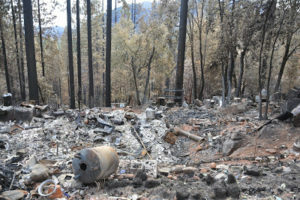 They would be treated with contempt because they were fire survivors and had lost everything. But they are survivors. “We are remaining strong despite the circumstances. We believe we can rebuild and recreate from the ashes,” said Stephan. “We will see beauty instead of ashes, joy instead of mourning and gladness instead of despair; some people have lost that belief,” said Pam. Hope City is thankful for Pam and Stephan and their generous hearts. Their property has been excavated and we’ll be able to install the foundation later this fall. We look forward to the day when their home is rebuilt and their gardens are flourishing!